Relax in comfort at the ocean's edge. 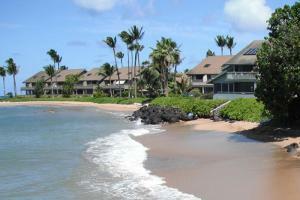 Add magnificent views and easy access to all that Maui has to offer and the Kahana Reef is your perfect Hawaiian home. Every condominium suite is oceanfront, with year round views of the sunsets, rainbows and offshore islands. With excellent activities, shopping and restaurants, Kahana is the perfect place for a family getaway to Maui.